Beijing is optimistic about China-India ties under new Indian PM Narendra Modi. Three days after Narendra Modi was inaugurated as India’s new prime minister, his Chinese counterpart, Li Keqiang, called him up to discuss the future of China-India ties. According to Xinhua, Li told Modi that China is “willing to enhance mutual trust” with India and regards India’s continued development as an opportunity for China. Li had previously issued a statement congratulating Modi on his inauguration and expressing a willingness to work together. 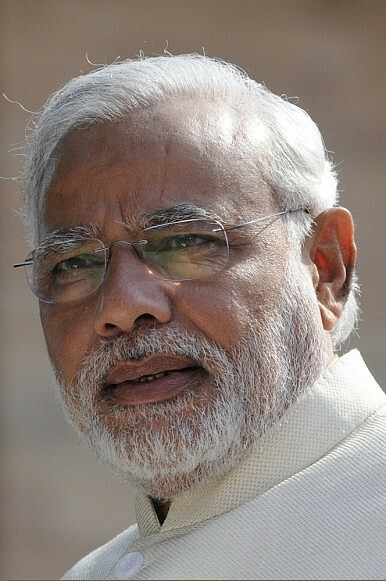 According to Xinhua, Modi said that “developing relations with China was one of the important tasks of India’s diplomacy.” He affirmed that the new BJP-led government attaches “great importance to India-China relations.” India Today also reported that Modi had invited Chinese President Xi Jinping to visit India later this year. It would be Xi’s first visit to India since assuming office in March 2013. The Hindu first reported that such a visit was in the works back in March, with Xi’s presence in India designed to signal support for the newly-elected regime. Chinese Foreign Minister Wang Yi is scheduled to visit India in early June, where he might lay the groundwork for an eventual visit by Xi. China is certainly interested in pursuing a closer economic relationship with India. In his conversation with Modi, Li expressed an interest in continuing to develop the Bangladesh-China-India-Myanmar (BCIM) economic corridor, one of many westward-looking economic plans promoted by Beijing. China also envisions India as a part of the new “Maritime Silk Road,” an ambitious oceanic trade route linking China and Europe via Southeast Asia, India, and Africa. On both land and sea, India is an important part of China’s vision for economic integration with western Asia and beyond. Beijing is optimistic that its vision will mesh well with Modi’s economic goals for India. However, to fully leverage their economic visions, China and India will have to manage their ongoing border disputes. And there are some suggestions that on this issue Modi will live up to his hardline reputation. An analysis from Sandipan Deb at Livemint suggests that Modi’s decision to appoint a former army chief as the head of India’s northeast was aimed directly at China. “The People’s Liberation Army may now think twice before sending in troops miles inside” disputed regions, Deb writes. Given his right-wing base, Modi will face pressure to respond more forcefully to Chinese provocations in the disputed regions. Still, China seems confident (at least for now) that its importance to India will provide an irresistible impetus toward cooperation. A Chinese-language Xinhua article jumped on Indian media suggestions that Modi must accept China’s superior position in Asia, not only economically but militarily. Modi has no choice but to implement economic cooperation with Beijing, the article argued. At the same time, Modi must change the existing China policy to take into account the existing power gap between India and its northern neighbor. In other words, Xinhua expects Modi to accommodate China not out of choice or inclination, but out of necessity. If China and India can avoid challenging the status quo in disputed border areas, there’s good reason to be optimistic about their cooperation. Modi’s emphasis on the economy will create an incentive to work with Asia’s largest economy, while China’s “march west” and its desire for security in its western regions should provide a similar impetus to cooperate with Modi. As an added bonus, if the two sides can temporarily shelve the border disputes, Modi can claim credit for discouraging Chinese aggression, bolstering support with his base — making a “Nixon moment” even more possible. Yet if the ongoing Sino-Vietnam dispute has taught us anything, it’s that nationalism can trump more rational economic concerns, particularly where questions of sovereignty are involved. The sort of confidence expressed in Xinhua — the idea that Modi and India will have no choice but to accept China’s superiority — could backfire spectacularly if Beijing uses this as the rationale for pushing hard on border issues. The first meeting between Xi Jinping and Narendra Modi continued to positive momentum in China-India relations. Did India's Prime Minister Want to Ruin Chinese New Year?The China-India Defense DialogueCan India and China Be Friends?Can China Woo India to the Maritime Silk Road?An Evolution in China-India Relations?